Nigeria accused HSBC of money laundering after an analyst working for the lender said that a second term for President Muhammadu Buhari may stall economic recovery in Africa’s biggest oil producer. “What killed Nigeria’s economy in the past was the unbridled looting of state resources by leaders, the type which was actively supported by HSBC,” presidential spokesperson Garba Shehu said in a statement. A bank that “continued until a few months ago to shield the stolen funds of one of the leaders of the Nigerian Senate has no moral right whatsoever” to criticise Buhari, he said. 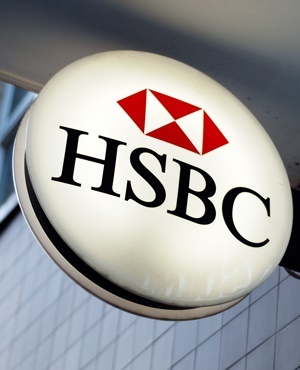 Nigerian investigations revealed that HSBC had laundered more than $100m for Sani Abacha - a military dictator who died in 1998 - in Jersey, Paris, London and Geneva, Shehu said. A spokesperson for HSBC declined to comment. The note was written by David Faulkner, a Johannesburg-based economist, on July 18, but was only widely publicized in Nigeria last week. The Nigerian government is facing intense criticism of its economic management in the run up to the elections and several ruling-party lawmakers have defected to the opposition. Nigeria was battered by the 2014 slump in crude prices and its economy is still struggling. The main opposition People’s Democratic Party said on September 12 that HSBC’s research showed a Buhari victory “portends grave danger” for the country. “With the incoming election everybody is on edge and any analysis that is used to sway negative public opinion will be squashed as quickly as possible,” said Michael Famoroti, an economist at Lagos-based Vetiva Capital Management. Regulators have long accused the world’s biggest banks of helping manage the illicit fortune amassed by Abacha, who ruled Nigeria from 1993 until his death. In 2001, a UK financial watchdog said 15 lenders showed “significant control weaknesses” in handling $1.3bn linked to him and his associates. In 2014, the US Department of Justice froze more than $458m in funds allegedly generated through corruption hidden in bank accounts - including at HSBC, Citigroup and Deutsche Bank - in what it described as the “largest kleptocracy forfeiture action” in its history. HSBC has a representative office in Nigeria’s commercial capital of Lagos, but doesn’t operate a full banking unit in the country, unlike rivals such as Citigroup and Standard Chartered.